Are you worried that your little one has too many languages to cope with? A recent study on bilingualism in babies might reassure you. It seems we’ve been breastfed the grammar of our native language. A study done by the University of British Columbia, Canada and the Université Paris Descartes, France, recently published in the scientific journal Nature, shows that the same seems to go for infants in a bilingual family. Don’t worry, it’s not a “Look Who’s Talking” come true. Babies can neither think in full sentences nor understand ours, but from 7 – 8 months they do use language cues to separate two languages: Pitch, duration, word frequency, stress and intonation. Whereas babies who hear only one language rely mainly on word frequency, bilingual babies need more than that, and cues such as pitch and duration can tell them something about the word order of each language. The research team took a particular look at babies hearing two languages with clearly different word orders (a red car, une voiture rouge), and the babies still seemed to take the relevant cues characterizing each of their languages. The findings were the same for several different language pairs. In particular, it seems bilingual babies are sensitive to prosody; the patterns of stress and intonation in a language. A result of this ability to learn before they can actually speak seems to be an innate knowledge of grammatical structures and the meaning of words, revealing itself when the little ones do put the language to use. Word order is a complex linguistic phenomenon which takes years to master fully, so these are the baby steps, so to speak, into language structure. The researchers believe their results show how flexible our language learning system is, and how it adapts to the linguistic environment. This means, according to the research team, that parents needn’t worry; bilingual babies are neither confused nor disadvantaged. Rather, the language sensitivity of such children may lead to cognitive advantages and strong mechanisms for language evolution. It might even be that monolingual children are underusing their language capacity. Children ARE universal linguists. And it’s true, they’re more sensitive to nuances in sounds between languages. 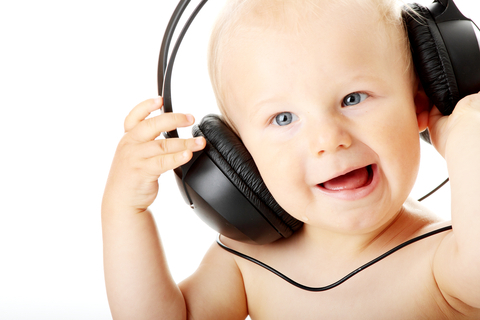 A baby born in Japan can still distinguish the “L” sound from all other sounds, but as he grows up when he hears less and less of the “L” sound in Japanese, eventually the sound just becomes noise to him. And you’re right! Parents need not worry about their kids having more than one language. We tend to think of the child’s brain as something like a box, where we store things until it becomes so full it no longer has room for any more information. But a child’s brain isn’t a box; it’s a sponge that absorbs everything. When I had my first kid, I was wondering the same thing. And I wrote about it. Since then, both my boys speak 3-4 languages (and their aged 5 and 6!). They have problem understanding any of the languages around them. Sometimes they do mingle one or two languages, depending on where they have just spent the afternoon… But they easily switch back. I can only recommend speaking your native language to your kids. They will have a benefit from it later!